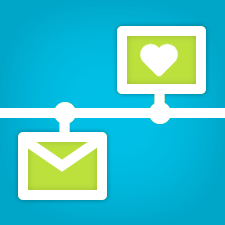 XMission’s Business Email and Collaboration has two mailbox service levels to choose from: Premium and Base, both powered by Zimbra Collaboration. Both mailbox types provide email that can be accessed by your preferred email application (desktop and mobile) or by the rich AJAX webmail experience (meaning drag and drop) which provides all the features and tools in one easy-to-use interface. Premium is the ultimate experience. Premium mailboxes provide strong mobile sync, mobile webmail client, Connector for Microsoft Outlook, Contacts, Calendars, Tasks, as well as file sharing and document authoring with Briefcase. It also includes the best Search functionality in the industry. Plus, “Zimlets” allow Zimbra to integrate with external systems such as Salesforce, OwnCloud, and many others. Premium also includes support for OpenPGP and S/MIME encryption options. Your Premium accounts allow you to share everything with your team, making for easy collaboration. These accounts feature 50 GB of storage for email and files. Base mailboxes provide a business email account plus Contacts management, including distribution lists and personal contact groups. Base has 6 GB of email quota. You have complete control over your mailboxes, including the ability to mix and match account types for mailboxes on your domain. Perhaps your executive and sales teams need mobility and advanced features, while your part time seasonal workers only need email and contacts. Easy—simply login to the domain admin panel and edit the mailbox as needed. All of your mailbox needs are backed 24 hours a day by the award-winning XMission support team, with support options that include phone, email, LiveChat, and online documents. Quick tip for administrators who support the end users on your domain: Many organizations find it easiest when everyone on the team uses webmail. Browsers are free and easy to support. Zimbra Collaboration truly is optimized for the webmail experience. We could tell you about the awesome productivity boost Premium mailboxes provide our team at XMission, but instead we will share these customer experiences. Zimbra Collaboration is a feature rich Open Source email and collaboration platform that allows teams to easily work together and share everything. Born of Open Source with a transparent code base, Zimbra offers tremendous extensibility for easy integration of external services such as Salesforce, a Connector for Outlook, great mobile sync, and much more. You will find pricing for Premium and Base in the Pricing tab on our Zimbra page. Administrating mailbox billing is easy using the domain admin console. As you upgrade Base accounts to Premium the daily audits will adjust your billing on the fly. No need to call in or create support tickets. New customers can contact sales@xmission.com, connect via LiveChat, or visit our store, to sign up immediately. We encourage you to share this with your friends and networks. Be sure to subscribe to our blog for frequently published Zimbra power tips and updates. Please post your comments and questions below and we will get back to you right away. John Webster, VP of Business Development and Zimbra Email Product Manager, has worked at XMission for 20 years doing his favorite thing: helping companies communicate with customers through technology to grow their business. When he’s not uncovering Zimbra’s secrets you might find him in our beautiful Utah mountains. Connect with him on LinkedIn today!